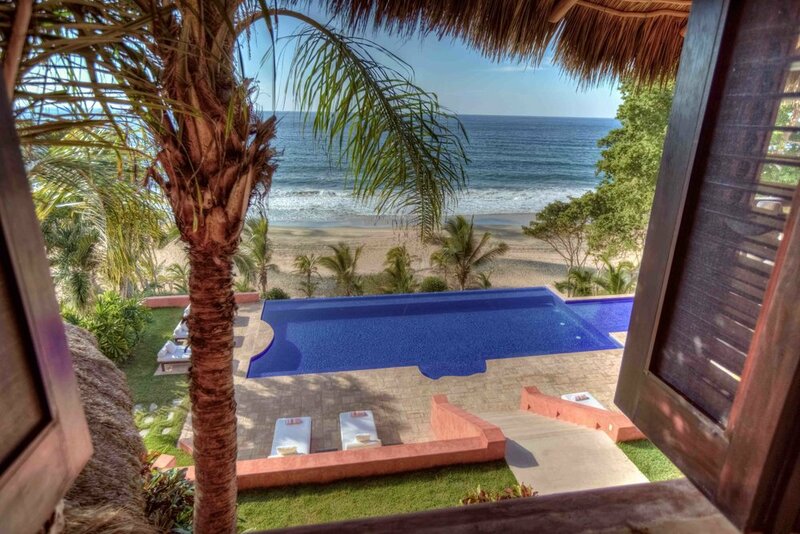 Our beachfront villa rental stretches along a private beach. We have a total of 6 Suites; each with a King Size bed welcoming up to 12-14 guests. Each bedroom has all the advantages, though the Master Bedroom, right above the vestibule, has a private office, a tearoom and easily one of the best vantage points to take in the sunset on the patio! There are 4 Luxury Suites in the main villa; two upstairs and two downstairs; each with unique impeccable views of the turquoise waters and majestic sunsets. There are 2 Private Bungalows situated in the garden closer to the beach and independent from the main villa. A perfect option for families or if you are looking for romantic getaway. All our Suites have a full range of amenities; including a telephone, Satellite TV, en-suite bathrooms, dressing room with walk in closets, a safe, and a mini fridge with all your basic essentials. 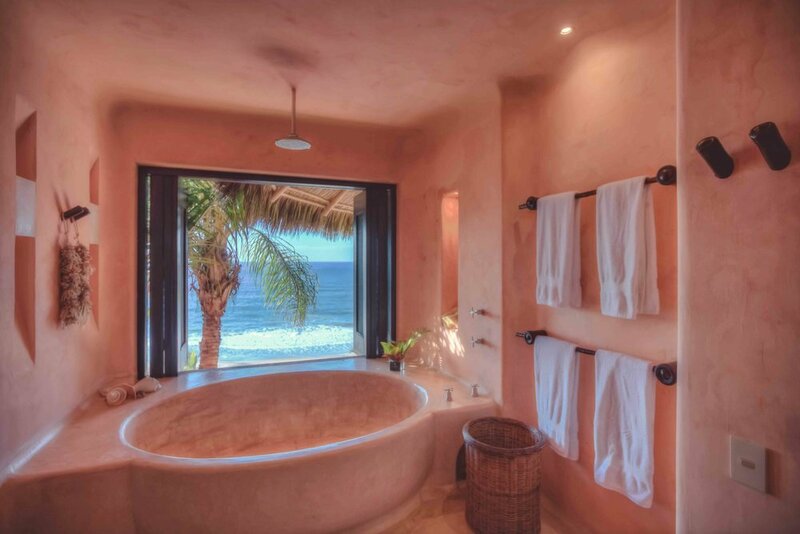 Escape to this spacious hideaway nestled in the Riviera Nayarit and its outer beaches of Sayulita, México.